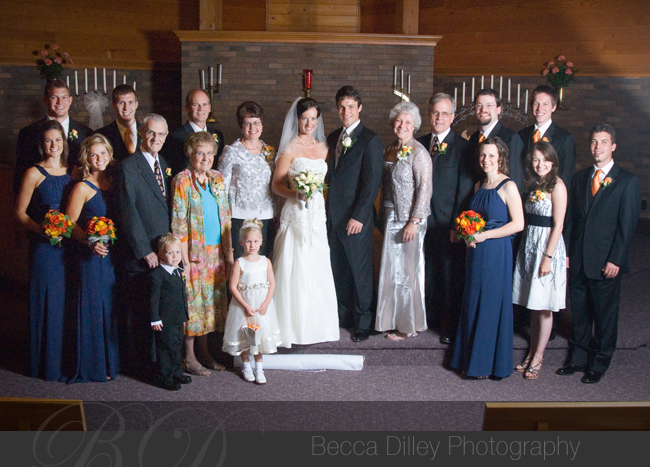 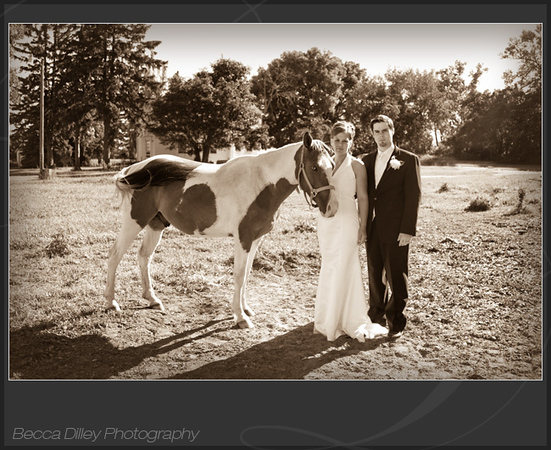 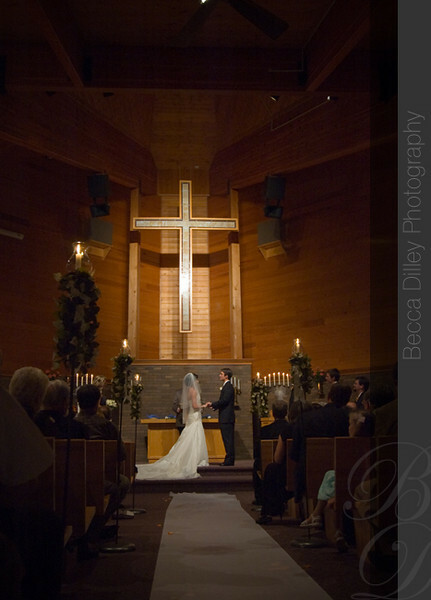 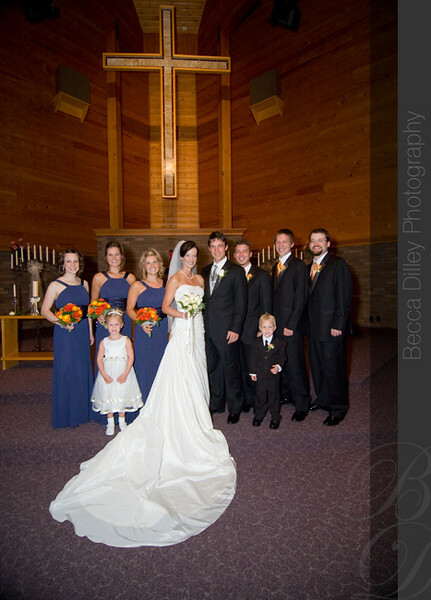 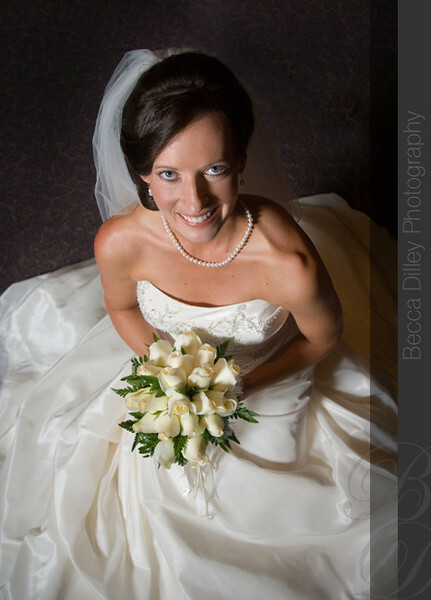 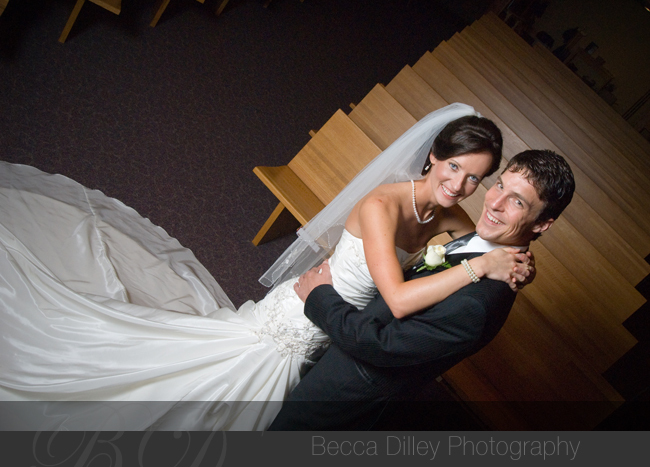 Holly & Ben were married north of Minneapolis last weekend. 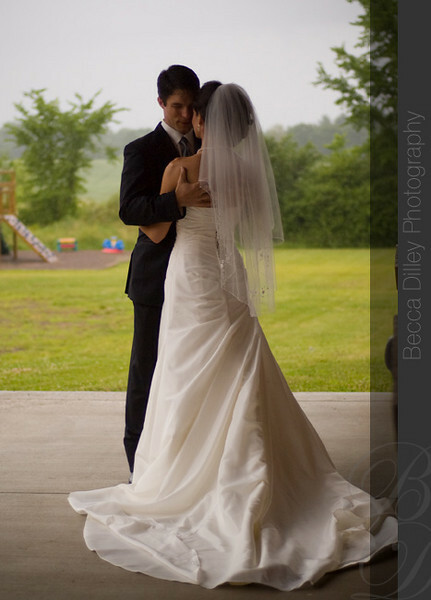 Among other things, Ben is an accomplished landscape photographer, and so I felt strongly how important capturing the day would be to them. 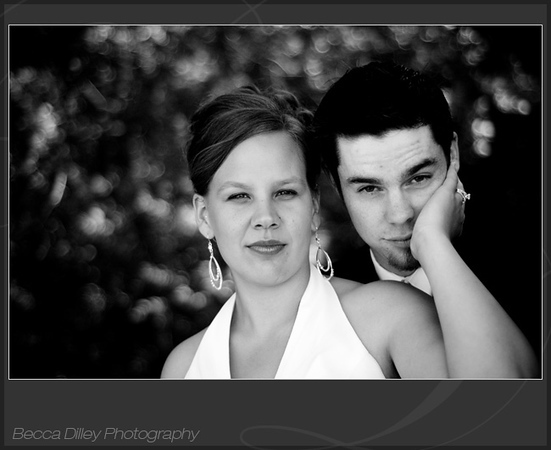 Since it made the most sense to see each other before the wedding, Ben and Holly spent a little time together before starting photos. 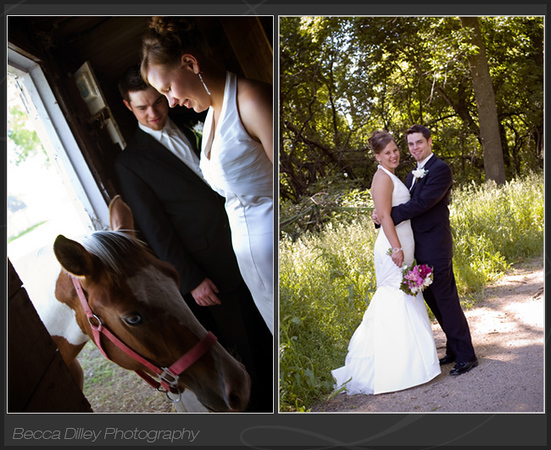 We had scheduled some time to take photos outside with the bridal party. 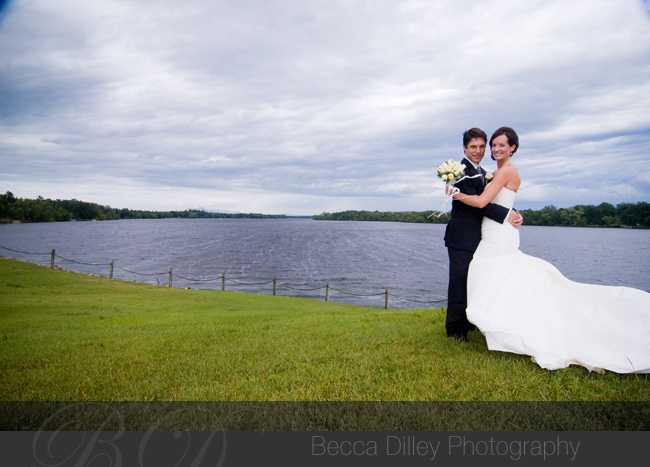 The quick rain storm almost kept that from happening, but the weather cleared at the last minute and made the clouds even more dramatic! 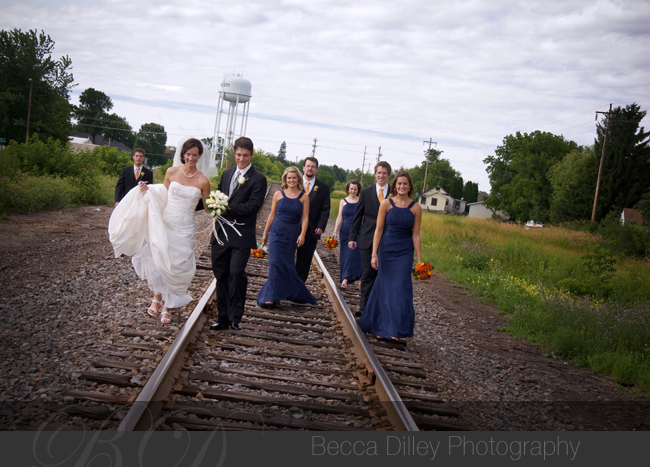 We even had some time to take photos by the railroad tracks in town, making some of my favorite images from the entire season. 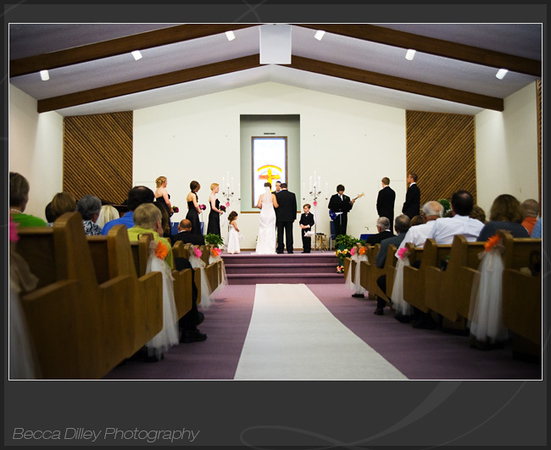 After all that fun, we returned to the church for the ceremony. 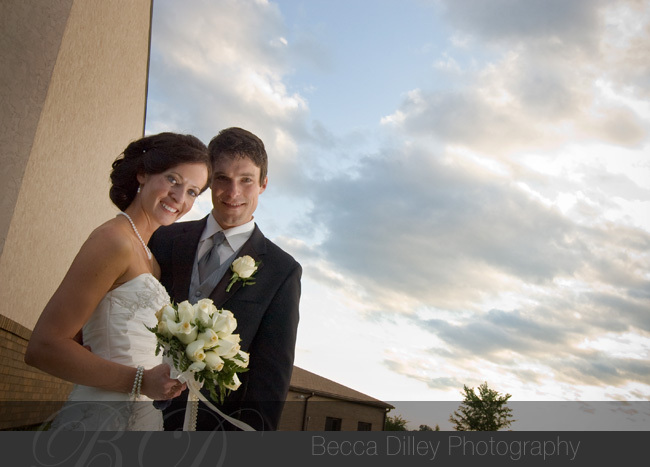 We took a few more photos with the great light ouside before heading to the reception. 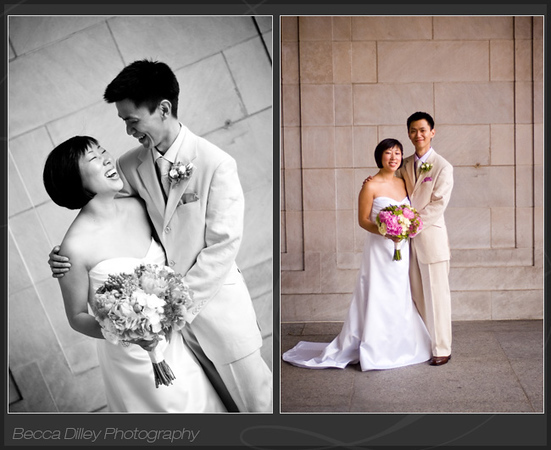 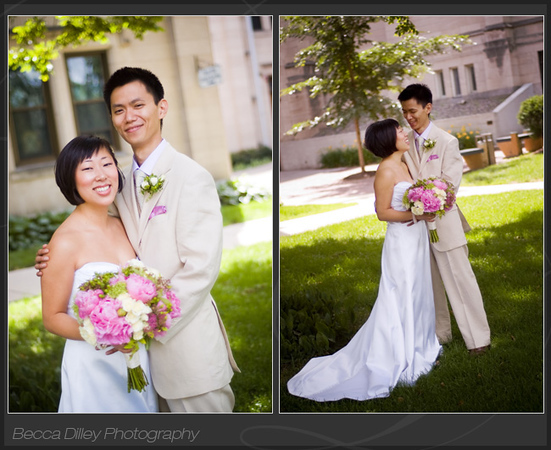 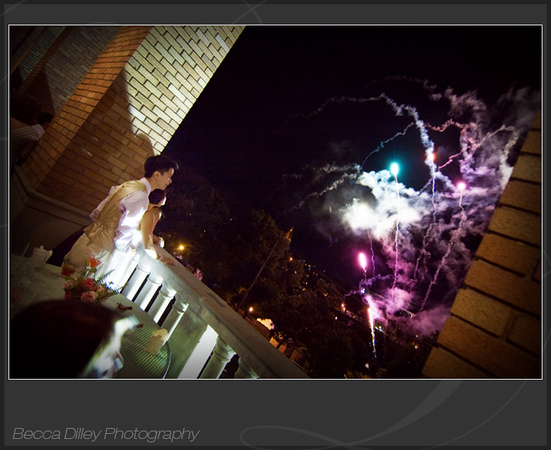 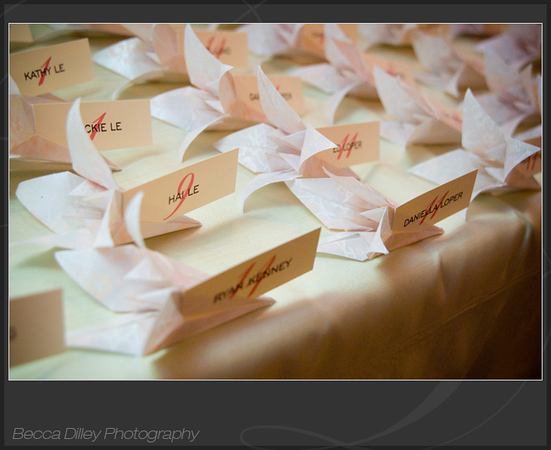 Mandy and Hai were married at the Women’s Club in downtown Minneapolis overlooking lovely Loring park. 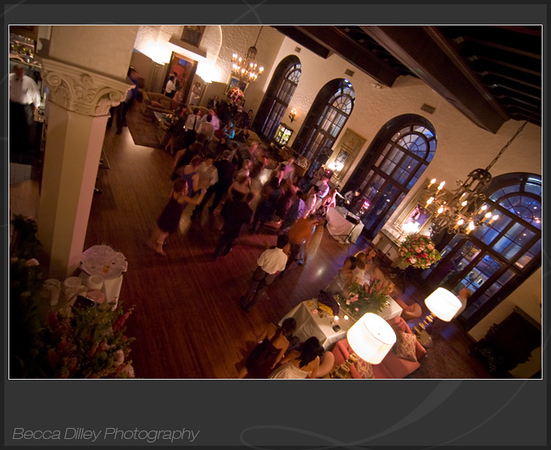 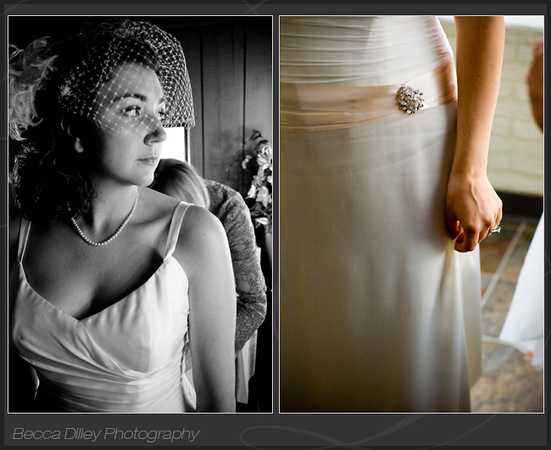 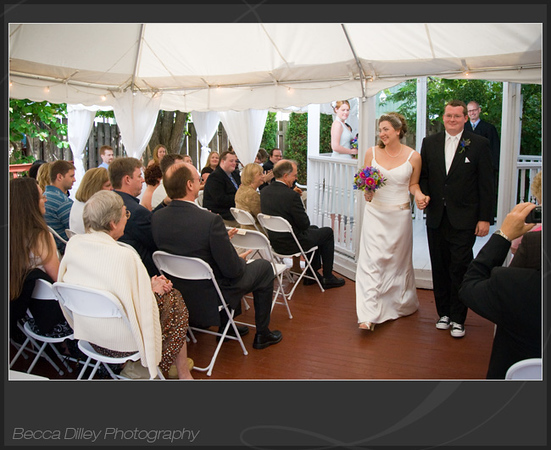 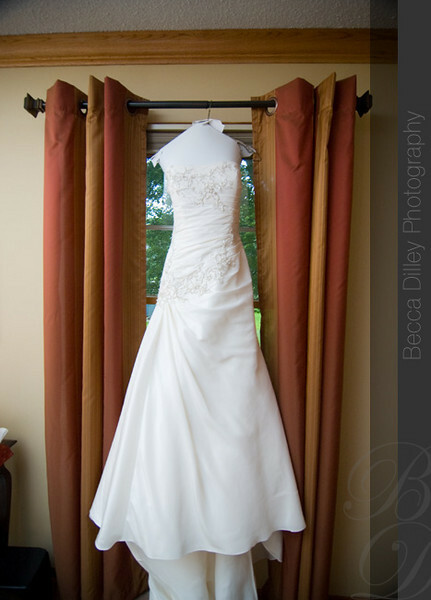 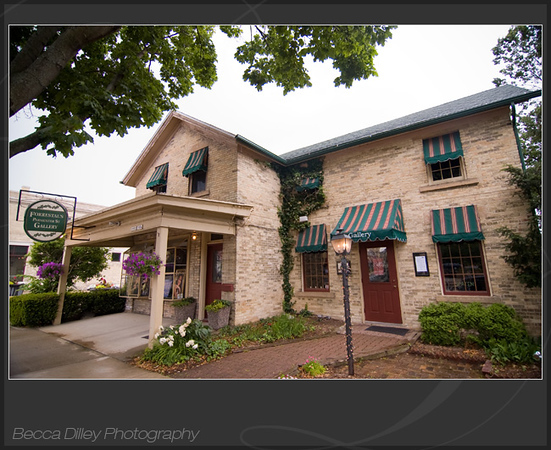 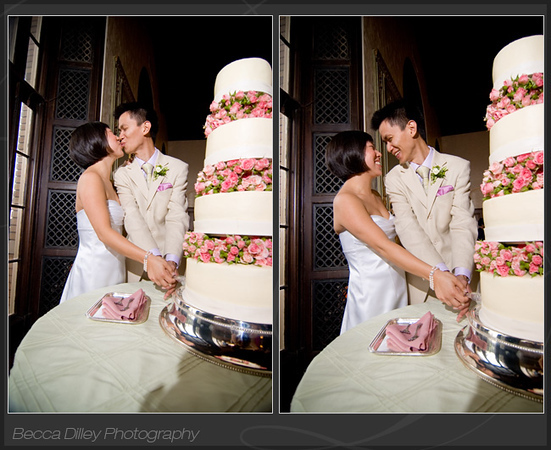 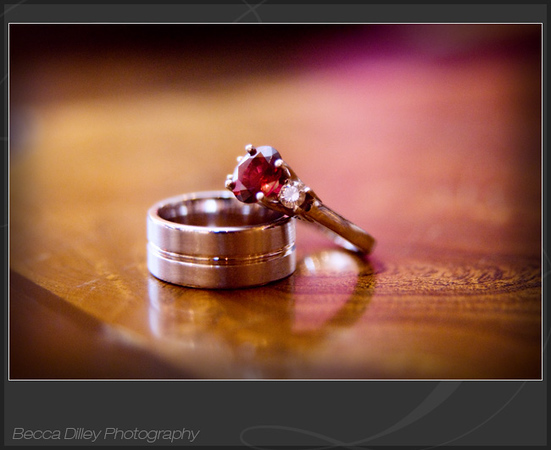 The location was gorgeous by itself with beautiful architecture and lovely furnishings. 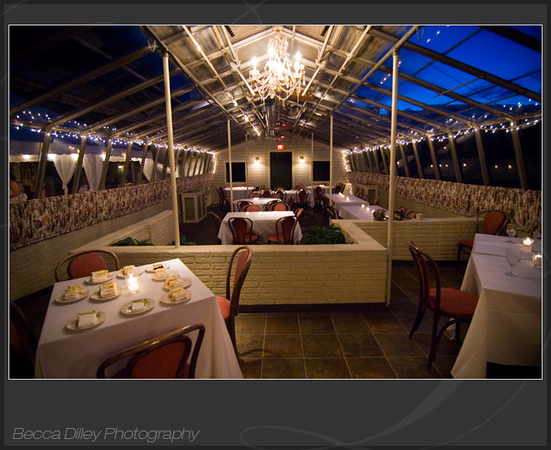 Mandy’s mother did most of the designing, which made the inside even more stunning, not to mention that the whole building smelled like peonies. 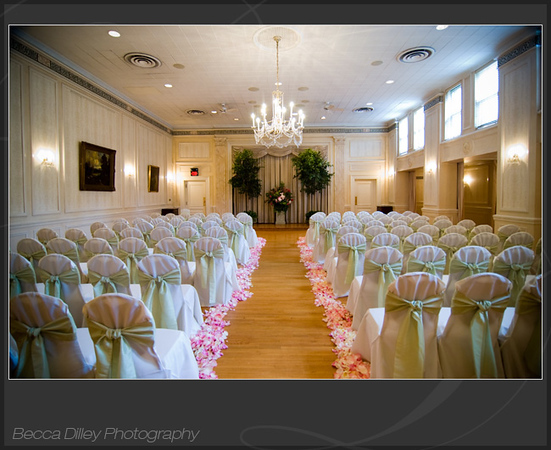 I am sure the Women’s Club never looked so good! 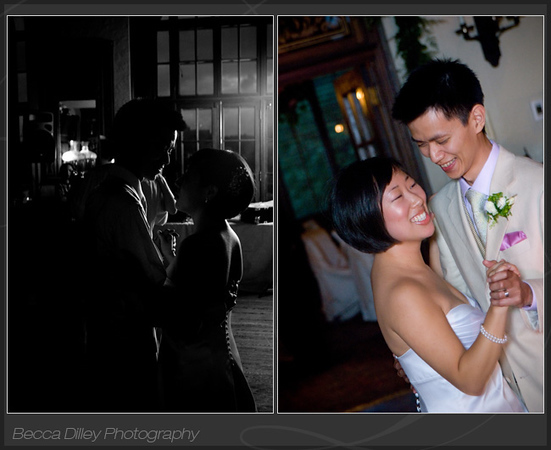 Before the ceremony, I took some photos of Mandy & Hai around the club. 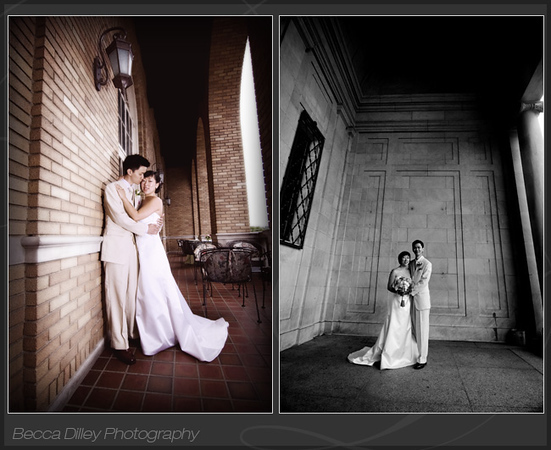 We had the good fortune to have wonderful weather, and the use of a beautiful abandoned bank facade. 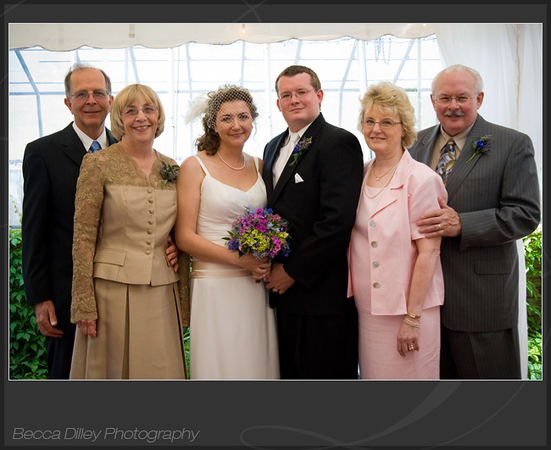 Inside the club, we took more family photos. 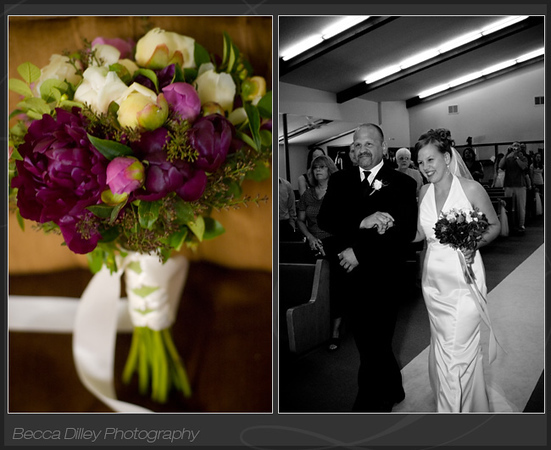 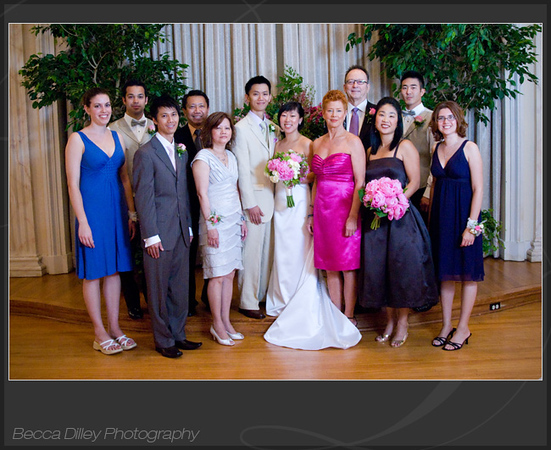 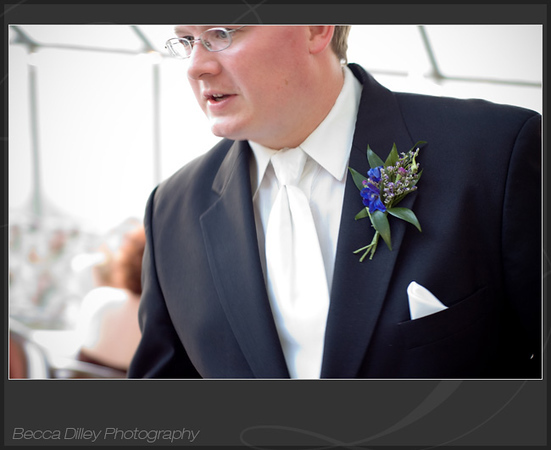 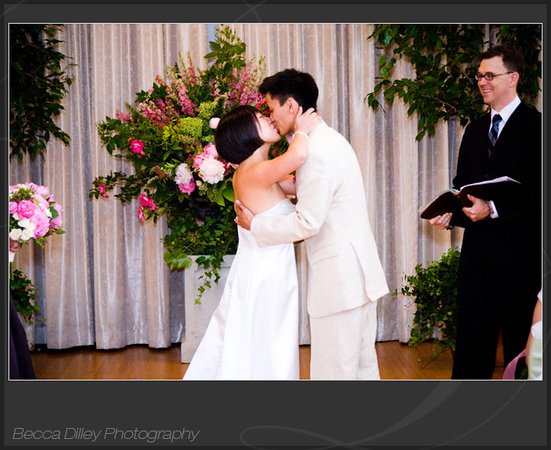 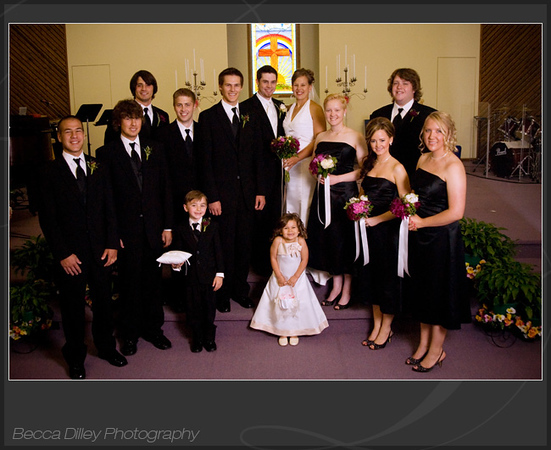 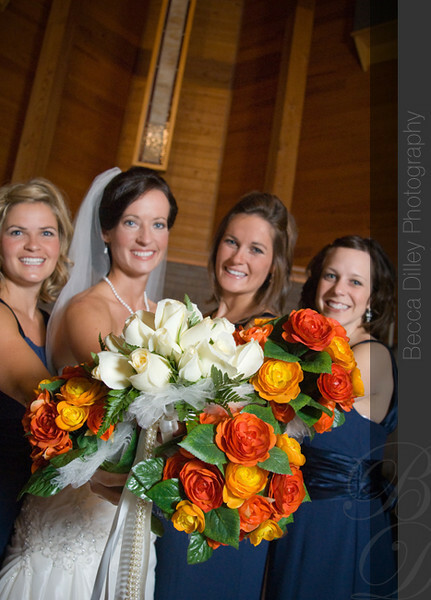 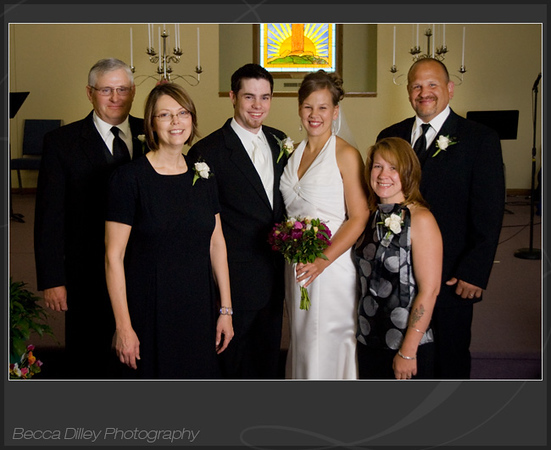 I love that everyone was dressed so colorfully – they compete with the flowers. 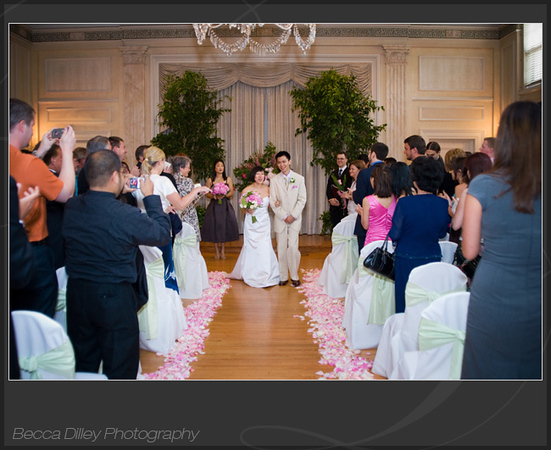 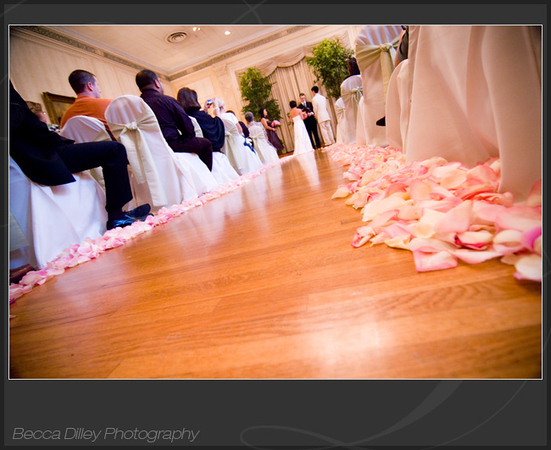 The ceremony was in the ballroom of the Women’s Club. 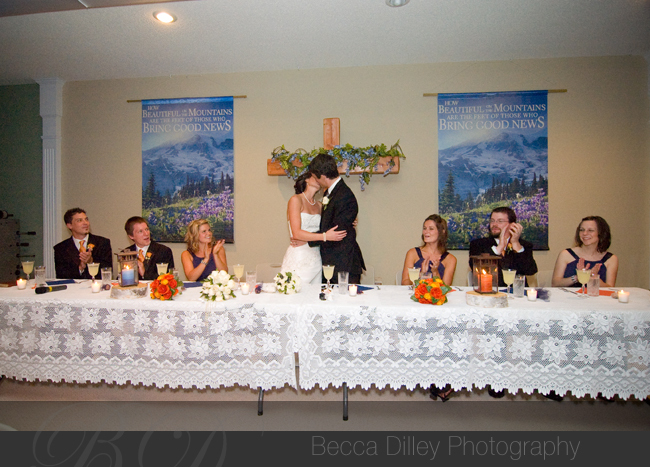 After the ceremony, everyone moved upstairs for the reception. 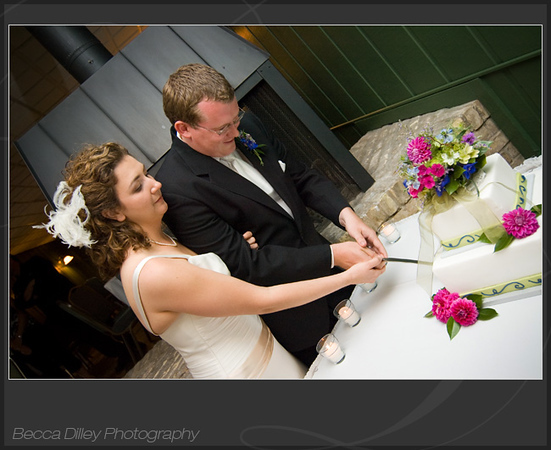 The cake was cut and the party began. 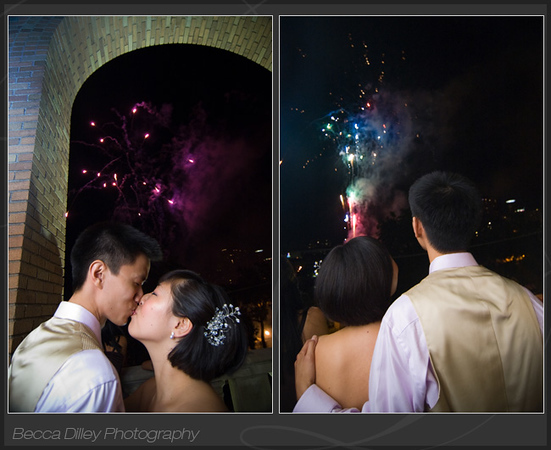 And at the end of the evening, everyone enjoyed the fireworks over Loring Park in honor of the pride festival. 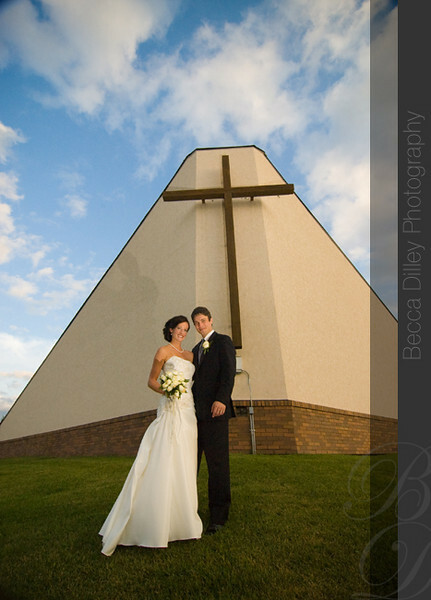 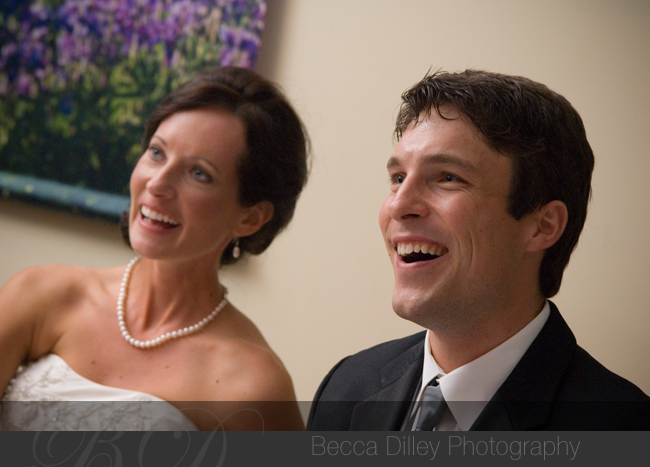 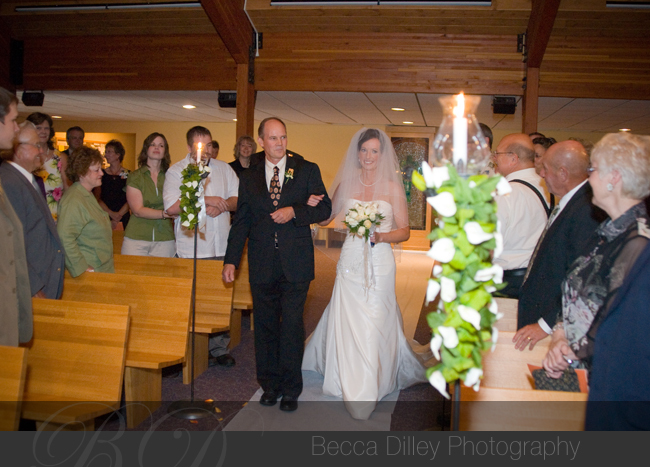 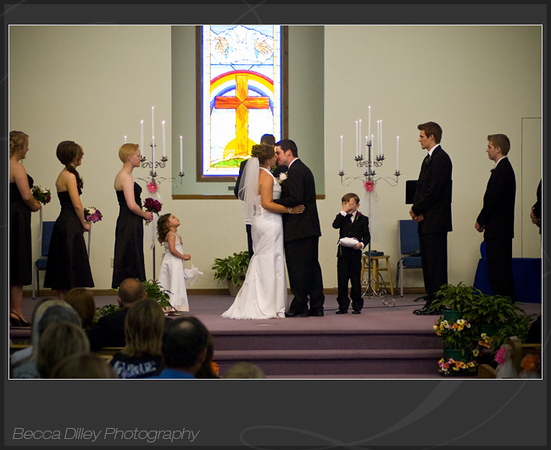 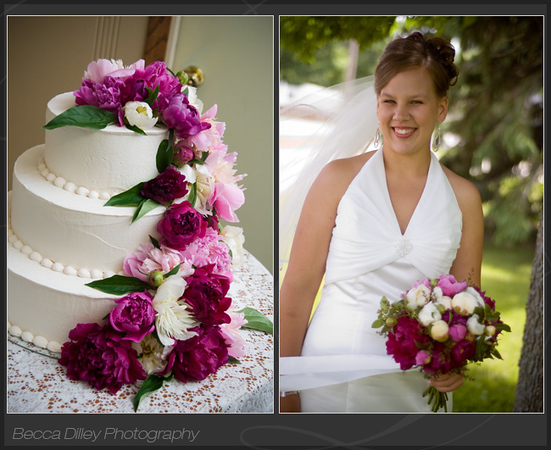 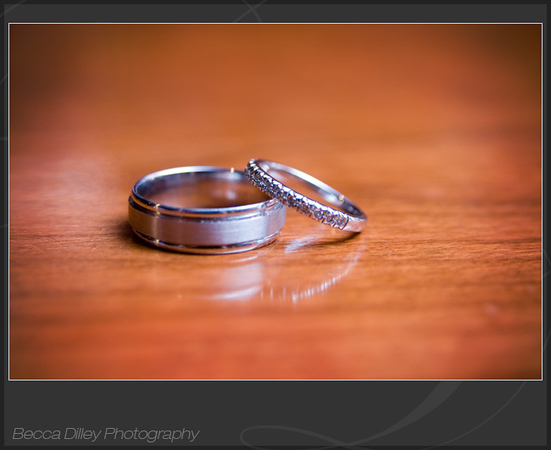 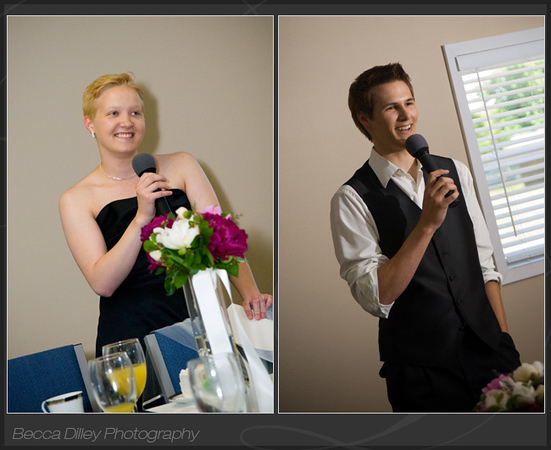 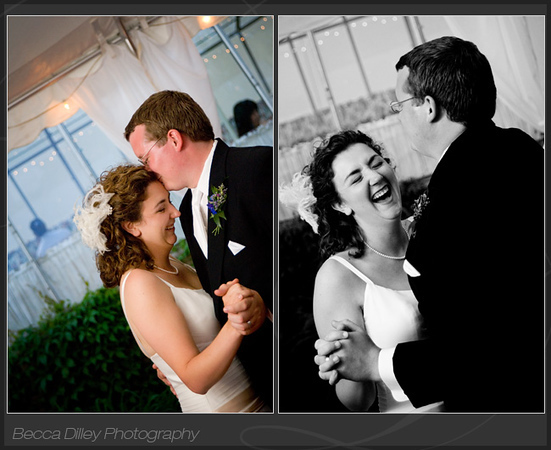 Liz & Trevor were married in Middleton, Wisconsin a few weeks ago. 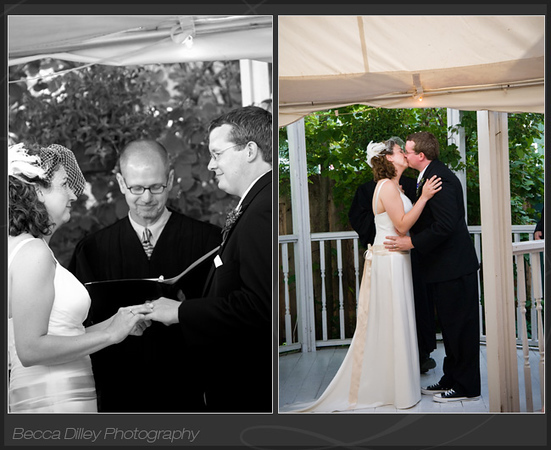 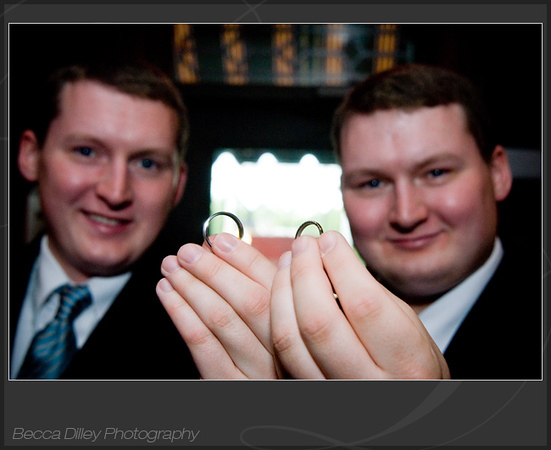 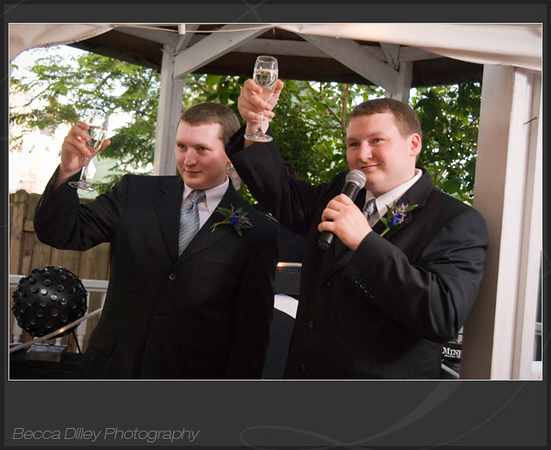 Their reception and ceremony were at a gallery/mansion/restaurant building, and had just enough rain to add some drama! 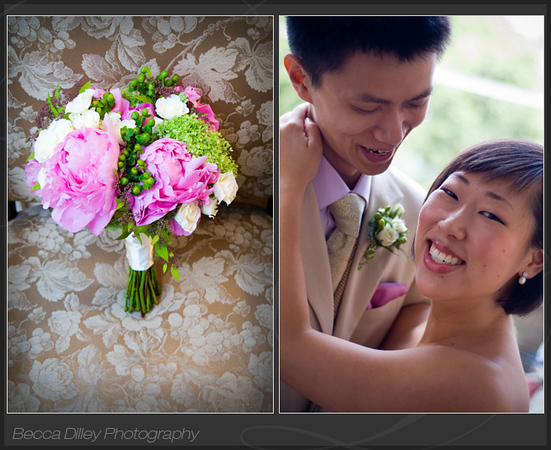 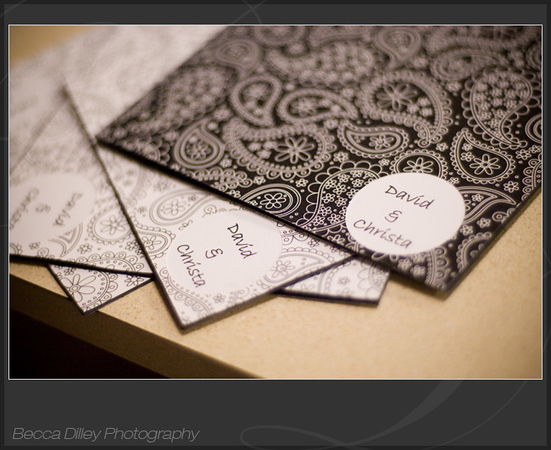 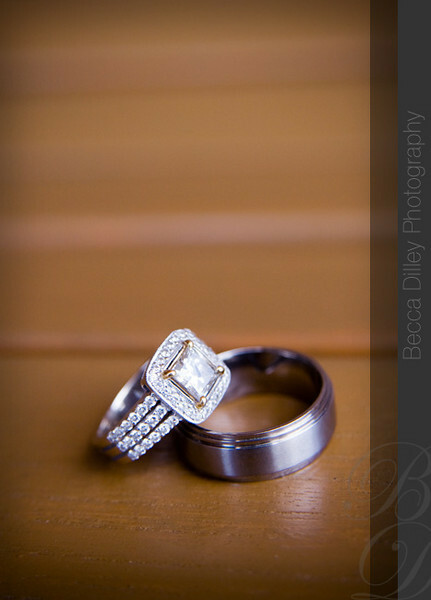 Liz and Trevor had an intimate and classy wedding with some vintage and funky details. 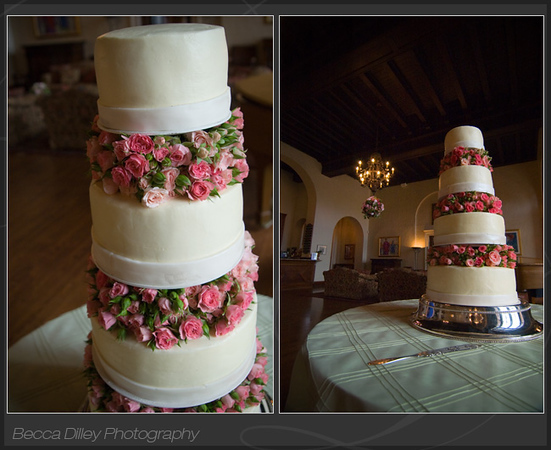 They had a beautiful cake! 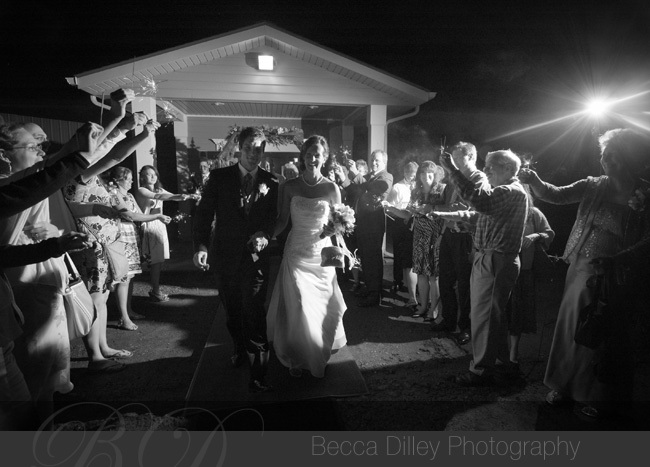 After dinner, there was toasting and dancing. 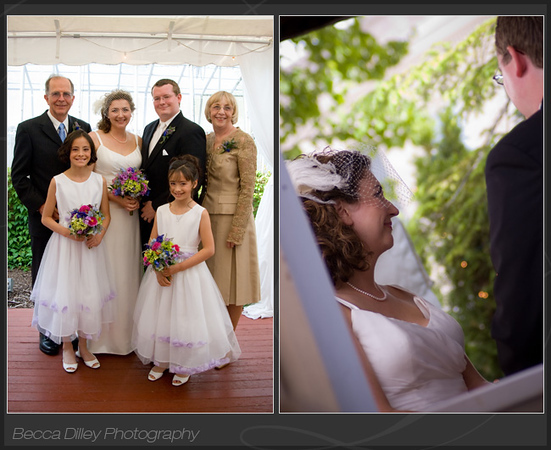 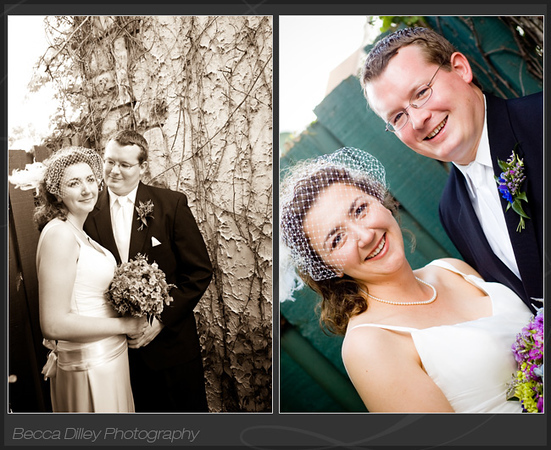 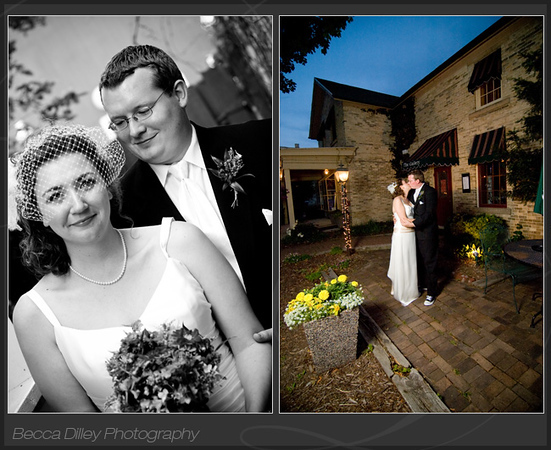 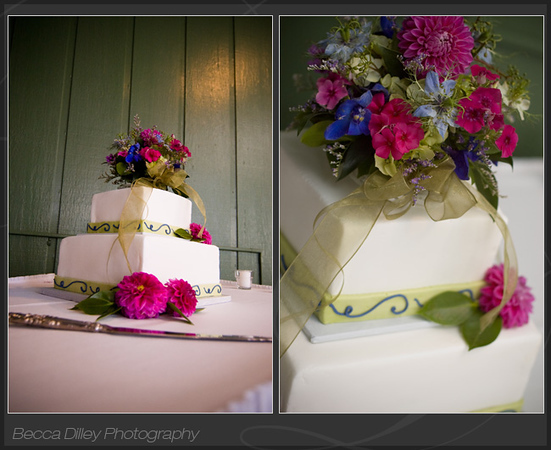 The gallery was a beautiful location with a lot of character and we had a great time taking photos around the grounds. 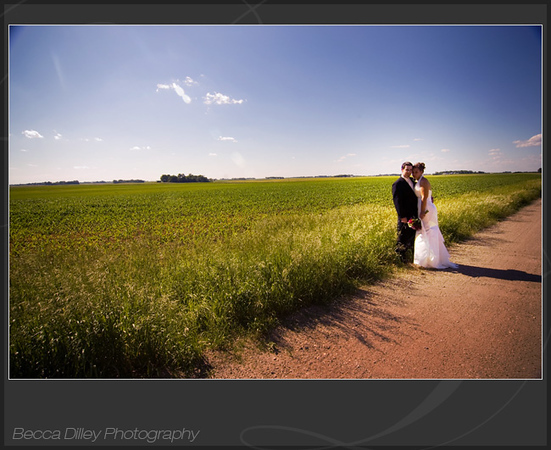 I shot an engagement session for Christa & David a few months ago, and so it was a real pleasure to join them for their wedding in South Western Minnesota. 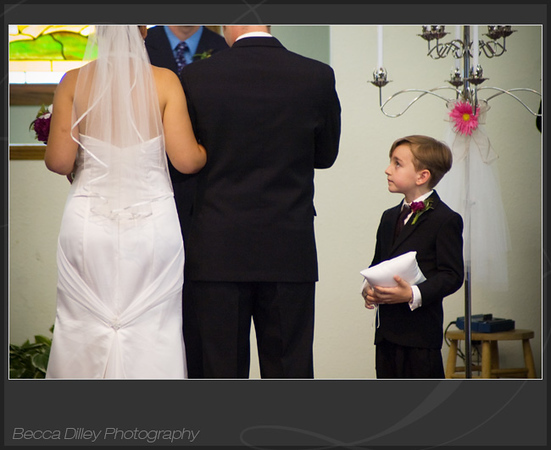 They had a wonderful afternoon wedding, and the ring bearer was especially charming during the ceremony. 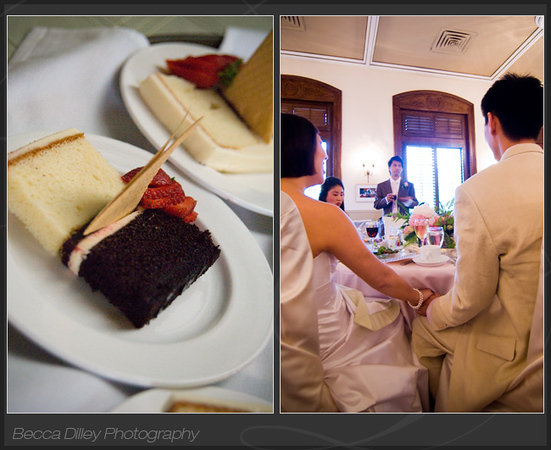 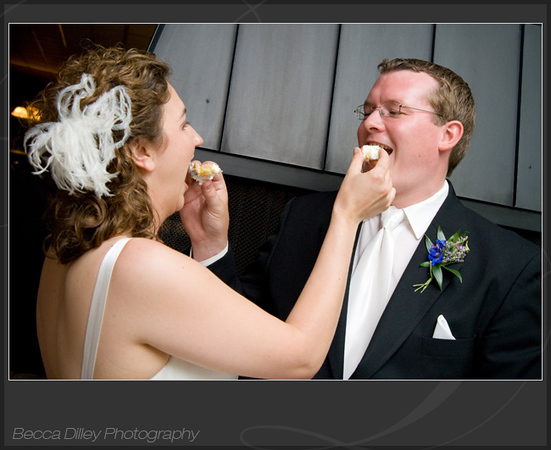 After the ceremony, they had a lovely ice cream and dessert reception. 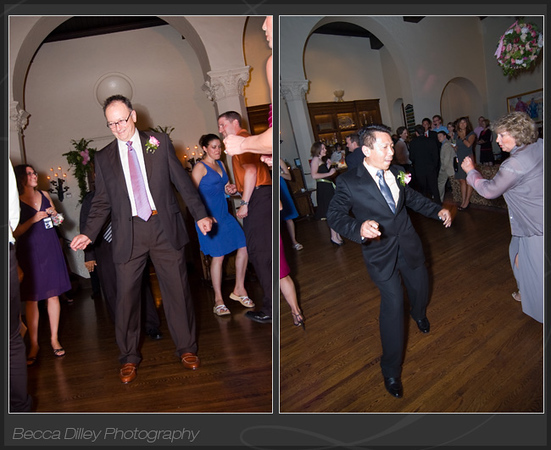 And, while there was no dancing (who wants to try and dance and eat ice cream at the same time? 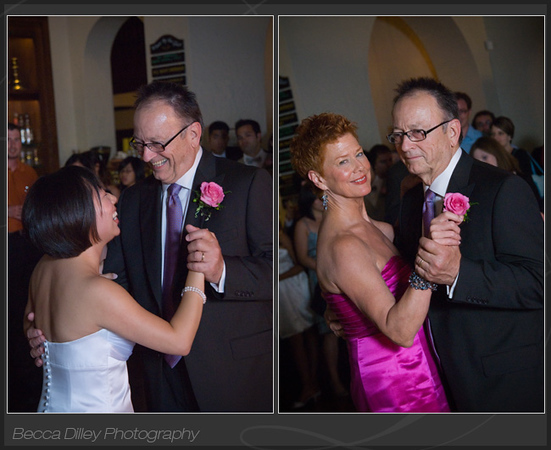 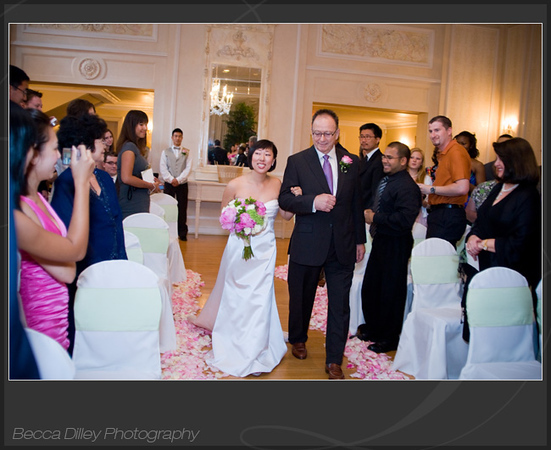 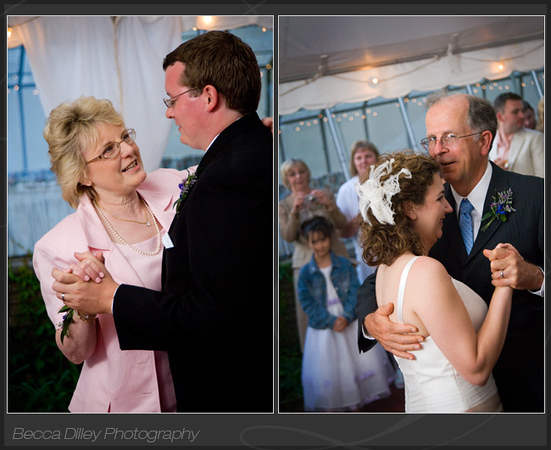 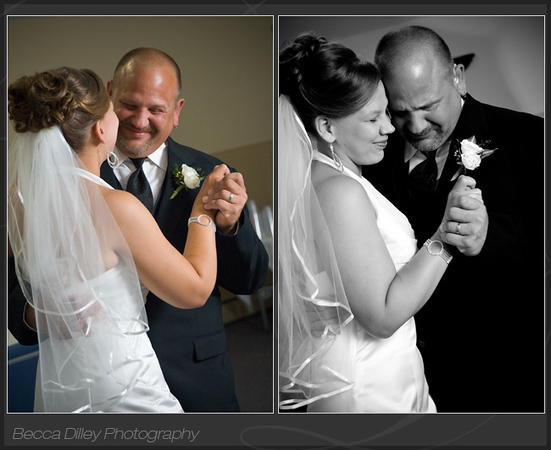 ), Christa and her dad did find some time earlier to have a father/daugher dance in private. 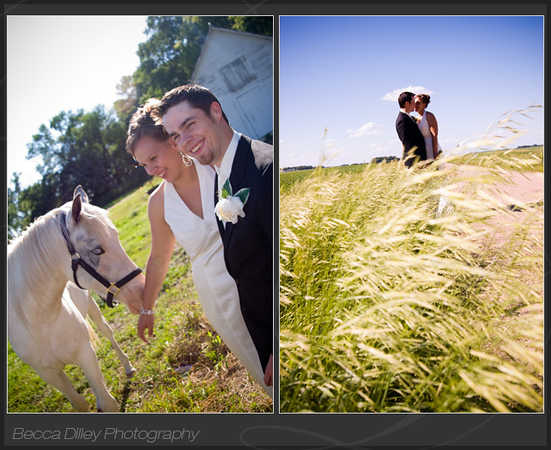 David owns a farm, and Christa had recently moved her horses there before the wedding, so we had a great time taking photos with the corn and horses. 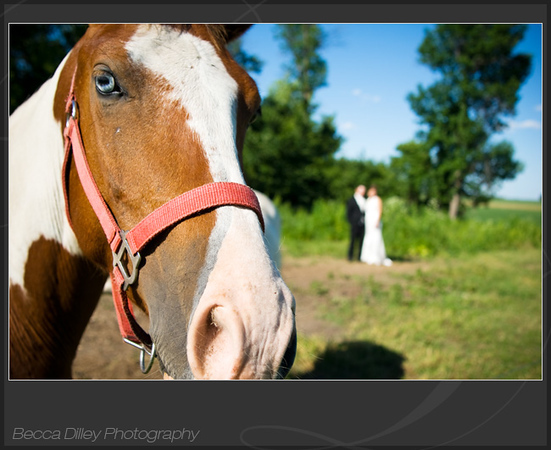 Even though the horses were a little too excitable to be cooperative, it was really fun to grab some quick shots with them.